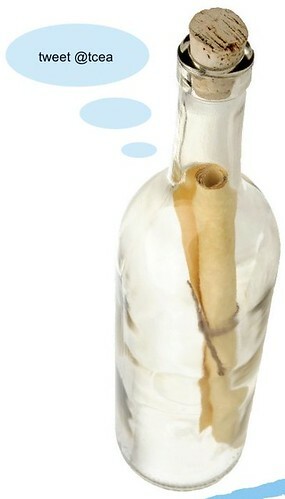 “My message in a bottle is: ” takes up a large number of the 140 characters! Really have to be short & sweet. I agree Patty. I wondered that myself. Seems they would accept “MMIAB” but I guess it is already out there as is. I think they will consider that for next year. Guess you have to work hard to drill down the message to get that $1000. 😉 Good luck.